The Centers for Disease Control and Prevention estimate that almost 50 percent of people over the age of 30 in the United States have periodontal disease, or gum disease. And in the 70 and older crowd, the percentage increases to more than 70 percent. And many of those people don’t even know they have this all too common infection. Dr. Gary Henkel and his team at Horsham Dental Elements want to help you avoid gum disease in the first place. That’s why we encourage all of our patients to schedule regular checkups at either our office in Horsham, PA, or Philadelphia, PA. Of course, if we find evidence of periodontal disease then treatment is imperative not only for your oral health, but your general health, too. For gum disease treatment in Philadelphia or Horsham, count on Horsham Dental Elements. Periodontal disease is a bacterial infection of the soft tissue—your gums—and jawbone that form the substructure for your healthy and beautiful smile. Gingivitis is early stage gum disease and periodontitis is the more advanced stage. When your gums are healthy, they are pink and firm and fit snuggly around your teeth. With gingivitis, however, your gums may look red and swollen and they may bleed easily when you brush and floss your teeth. Periodontitis has set in when your gums start to pull away from your teeth; your bad breath won’t go away; there is pus around your gums; and you have loose teeth or a change in your bite. With gum disease—whether gingivitis or periodontitis—what starts in your mouth can travel through your bloodstream and affect other parts of your body and its systems. Reliable research has drawn a link between the bacteria that causes gum disease and diabetes, pneumonia, stroke, heart disease and preterm, low birth weight babies. If we discover that you do have gum disease, then Dr. Henkel can provide periodontal therapy that can arrest the progression of the disease. Depending on the severity of the case, we may use either root scaling and planing or laser periodontal therapy. 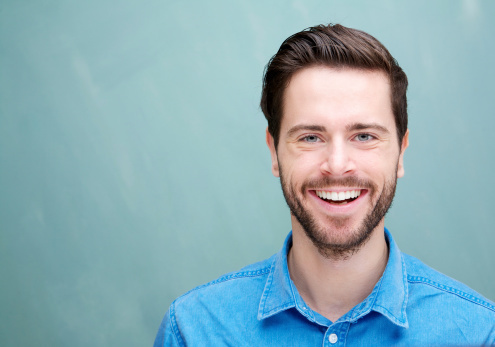 With root scaling and planing, we remove the plaque and tartar that has built up on your teeth above and below the gum line. With laser periodontal therapy, Dr. Henkel can treat tissue that has been affected by gum disease without harming other tissue. Moreover, laser treatment does not necessitate sutures, so wounds heal faster. And the laser also sterilizes the tissue it touches and promotes the growth of new and healthy gum tissue. In Philadelphia and Horsham, periodontal therapy is conveniently available from Horsham Dental Elements. We also serve the surrounding areas of Dresher, Springfield and Hatboro, as well as Bucks County and Montgomery County.